“Saturday afternoon at the Paramount Theater in New York City. The year: 1945. The place was crowded for that time of day. The word was out about Woody Herman’s First Herd. 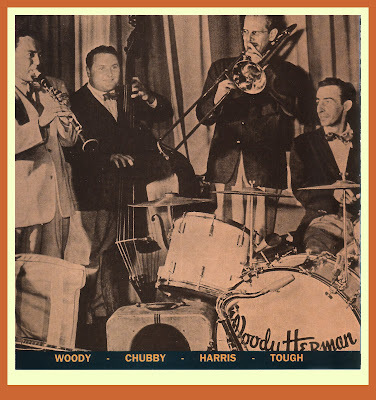 A bluish light hit the rising stage as the Herman band rose out of the pit, playing Woody’s familiar theme, ‘Blue Flame.’ When the 16-piece band hit stage level, it exploded into ‘Apple Honey’ and immediately displayed great ensemble power as it dashed though this up-tempo ‘head’ arrangement. My eyes were on the little drummer. He went about his business with little of the grace of a Krupa and Jones, and none of the fireworks of Rich. But the excitement built as Tough, without physically giving the impression of strength, manipulated the band much as an animal trainer would a beautiful hard-to-control beast, making it respond to him. He cracked the whip under the ensemble and brass solo passages adding juice and muscle to the pulse and accents. Each soloist got individual treatment – a stroke here, an accent there, a fill further on, all perfectly placed. He moved the band from one plateau to another, higher and higher. By the time the band was about to go into the final segment, the audience was totally captured. There was a point during this last section when it felt as though the band would take us through the roof. 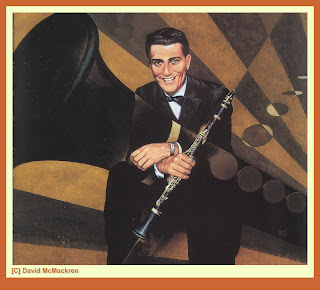 I always thought that Bix Beiderbecke was the saddest story in Jazz until I researched the life of Davy Tough for this JazzProfiles feature. I have played in big bands as a drummer and, for a variety of reasons, I think it may be an experience that is somewhat like piloting a jet fighter plane [okay, humor me here]. To begin with, very few arrangers know how to write drum charts, so looking at the music is like piloting the fighter, but now you are doing it blindfolded. Once the downbeat is given, an audio G-force is unleashed and the music starts coming at you fast and furious all of which you are supposed to catch and do something with: accent, fill, kick, employ a short solo, crescendo, decrescendo, stop, lay out, start, fill and kick again, employ another short solo, play stop time, double the time: all the while moving the music along, keeping it in balance and not allowing it to slow down or speed up. And the anxiety associated with this dynamic is heighten by the fact that in most cases, you have no visual road map to help guide you toward where the big band is supposedly going. And of course, once played, rightly or wrongly, you can’t take anything back. When it all comes together and you successfully navigate the band through the arrangements, it’s an immensely satisfying experience. But when it fails, you are responsible for taking 15 or so fellow musicians and driving them into the musical equivalent of a train wreck. [I know I'm mixing metaphors, but it's fun]. One learns to survive, avoid the crack-ups [after the loss of a few engines and their tenders] and – more often than not - actually steer the band “safely” to its final destination. Ultimately, I learned to navigate myself through these challenging and treacherous big band charts by looking at the first trumpet and the first alto parts because therein lies the key/s to anything that’s happening in an arrangement. I would then take these notations and pencil-them-in at the appropriate places in the drum part. 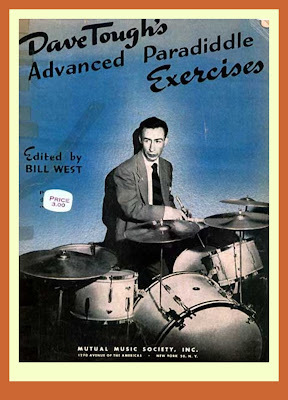 Larry Bunker [drummer in the original Gerry Mulligan Quartet, Shorty Rogers Quintet, Bill Evans Trio and Clare Fischer's Big Band] was the person who taught me this “science” of super-imposing lead sheet parts. He also urged me to listen to how drummers like Jo Jones with Count Basie’s band and Davy Tough with the Woody Herman First Herd Big Band artfully propelled their bands as though they were pushed by the wind. I also attended the Mel Lewis Big Band drumming “clinic” [in the informal sense of the word] which he conducted every Monday night while performing with the Terry Gibbs Big Band at various Hollywood venues during the late 1950s. Both Jo and Mel became very well-publicized figures in my lifetime and deservedly so as they were each masterful big band drummers. But who was this Davy Tough? But I never knew much about Davy Tough the person and the tragedy that became his life until I read this insightful piece by the dean of Jazz writers, Whitney Balliett. “Dave Tough was born in Oak Park, Illinois, the youngest child of James and Hannah Fullerton Tough, both of whom were born in Aberdeen, Scotland. He had two brothers, George and James, and a sister, Agnes. His father was a bank teller, who dabbled in real estate and the commodities market. His mother died, of apoplexy, in 1916, when he was nine, and in 1921 his father married a sister of his mother's. Tough continued to call her "aunt," even though she was now his stepmother, and this gave rise to half truth that he lived with his aunt and uncle. He went to Oak Park High School, but he never graduated. By the time he was fifteen or sixteen, he was playing drums and hanging out with the Austin High School Gang. Tough was already, as Art Hodes puts it, a "runner-around." He was also two people - the hard-drinking drummer and the bohemian, who read voraciously, did some painting and drawing, took language and literature courses at the Lewis Institute, and hung out at a night club called the Green Mask, where he accompanied poetry readings such as Max Bodenheim, Langston Hughes, and Kenneth Rexroth. His friend Bud Freeman says in his book "You Don't Look Like a Musician" Tough took him to a Cezanne show at the Chicago Art Institute. Dave Tough, who tipped delicately over his words like they were thin ice, always used to lecture me on how important it was to keep your speech pure, pointing out that the French and people like that formed their vowels lovingly, shaping their lips just right when they spoke, while Americans spoke tough out of the corners of their mouths ... I thought Dave's careful way of talking was too precise and effeminate. He thought I was kind of illiterate, even though he admired my musical taste and knowledge. He was always making me conscious of the way I talked because he kept on parodying the slurs and colloquial kicks in my speech, saying that I was just trying to ape the colored man. Tough's profession and drinking had already estranged him from his family. In 1927, barely twenty, he married and went to Europe with his wife and the clarinetist Danny Polo. He worked with various bands in Paris, Ostend, Berlin, and Nice. The Prince of Wales, who seemed to do little else at this period, sat in on his drums, and Tough drank a great deal. Bud Freeman says that Tough wrote limericks with Scott Fitzgerald, and that Tough was shocked when he discovered that Freeman, over on a short visit, hadn't read "The Sun Also Rises." Tough returned to America in 1929, worked for a time with Red Nichols, and went back to Chicago, where he entered what his biographer, Harold S. Kaye, calls his "dark period." He seems, for the next four or five years, to have been a derelict. Jess Stacy was in Chicago in the early thirties, and he remembers Tough. "He'd always had trouble with drinking," he said recently. "I used to see him all the time before I joined Benny Goodman, in 1935, and he was in terrible shape. He looked like a bum and he hung out with bums. He'd go along Randolph Street and panhandle, then he'd buy canned heat and strain off the alcohol and drink it-this being during Prohibition. I played with him in Goodman's band in 1938, right after Krupa left and Goodman was running through drummers a mile a minute. Goodman said to Tough one day just before show time, 'Hey, Davy, I want you to send me,' and Tough replied, 'Where do you want to be sent?' He was a brilliant little guy, and I always wondered if he wasn't torn between being a writer and being a drummer." Tough moved on to New York in 1935, but he still wasn't well enough to work regularly. 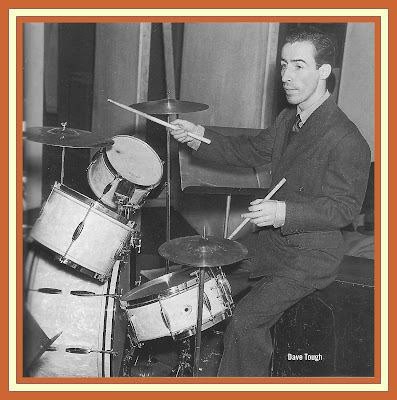 Joe Bushkin has said, "I was with Bunny Berigan at the old Famous Door, on Fifty-second Street, in 1935, and Davy'd come by with his drums and set up and sit in. It was the fashion then to take the Benzedrine strip out of an inhaler and put it in a Coke, and he'd do that for courage. When he drank too much, he was gone. He was totally out of body. Sometimes, when I was still batching it, I'd take him home with me. He weighed less than I did. I've always been around a hundred and twenty-eight, but he must have been close to a hundred pounds. He was so much of an artist that having a bank account would have been appalling to him. He was a natural musician who did things effortlessly, and that always made you comfortable." Half of Tough's career was over, and he didn't seem to have much to show for it. But this was deceptive. He certainly had helped inspire the great rhythmic drive of the Chicago players, and he must have helped shape whatever subtlety they had. 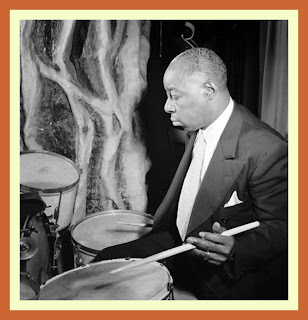 He had worked his way through the styles of the New Orleans drummers Baby Dodds and Zutty Singleton, and, by ceaselessly experimenting, had become a first-rate, original drummer. After considerable spade work on my research into the effects of chewing gum on swing-drumming, I have turned up a few hitherto unpublished secrets of world-shattering importance: George Wettling and Maurice Purtill chew nothing but Juicy Fruit. James Crawford, the gent who beats out all that gyve [jive] with Lunceford -solid man! - prefers Spearmint. The two Rays, McKinley and Bauduc, are Black Jack men down to the ground. This discussion reminds me of Ed Straight, the old Chicago drum teacher, to whom stick grips were a phobia. He was a kind, likable old chap who was usually very calm and patient in his methods. That is, was calm and courteous until you tightened the first two fingers of your left hand around the stick in an attempt to close up your roll. Then he'd raise hell. You'd be rolling along trying to smooth it out nice and even, and suddenly he'd knock the stick out of your left hand. If it flicked out easily, he'd smile; if it didn't, you were in the dog-house. His rule was: at all times during the roll, the left stick should be held so loosely-with the wrist, the thumb and third finger doing all the work-that it can be easily dislodged with just a light flick. But I can say this, sir, that Chick Webb is much better than whom and who and he's good and he's very, very good and he does everything there is to be done to a drum and he does it beautifully and sometimes he plays with such stupefying technique that he leaves you in a punch drunk stupor and ecstatically bewildered as this sentence has wound up to be. 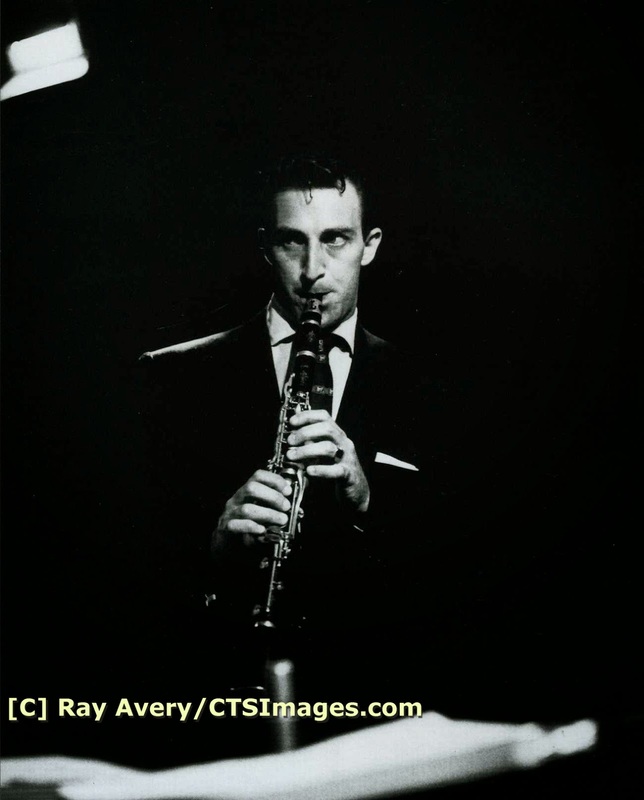 Tough left Dorsey early in 1938, and during the rest of the year moved erratically from Bunny Berigan back to Dorsey to Benny Goodman to Bud Freeman, establishing behavior patterns that would become more and more unpredictable. He passed through Jack Teagarden's big band in 1939 and was with Joe Marsala's jumping small band on Fifty-second Street in 1940. He rejoined Goodman in 1941, was with Marsala again, had a good stint with Artie Shaw, and was briefly with Woody Herman. He was in Charlie Spivak's band in 1942, and then he became part of Artie Shaw's Navy band. Shaw has said, “I first knew Davy in the thirties when he was with Tommy Dorsey, and we'd go up to Harlem to listen to music. He was a sweet man, a gentle man, and not easy to get to. He was shy and reclusive. He had great respect for the English language. He read a lot and I read a lot, so we had that in common. During the Second World War, he was in my Navy band, and we'd manage to get together once in a while 124 American Musicians and talk. He was an alcoholic, and, like all alcoholics, he always found things to drink. I'd assign a man to him if we had an important concert coming up-say, for the crew of an aircraft carrier-and that man would keep an eye on him all day. This was so he wouldn't get drunk and fall off the bandstand, which he had done a couple of times. 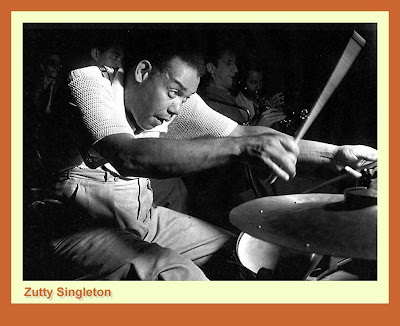 I think he was the most underrated big-band drummer in jazz, and he got a beautiful sound out of his instrument. He tuned his drums, he tried to achieve on them what he heard in his head, as we all do, and I think he came as close as you can get. He refused to take solos. Whenever I pointed to him for twelve or eight or four bars, he'd smile and shake his head and go on playing rhythm drums." The Shaw band spent the year of 1943 in the South Pacific, and Tough, worn out, was discharged in 1944. 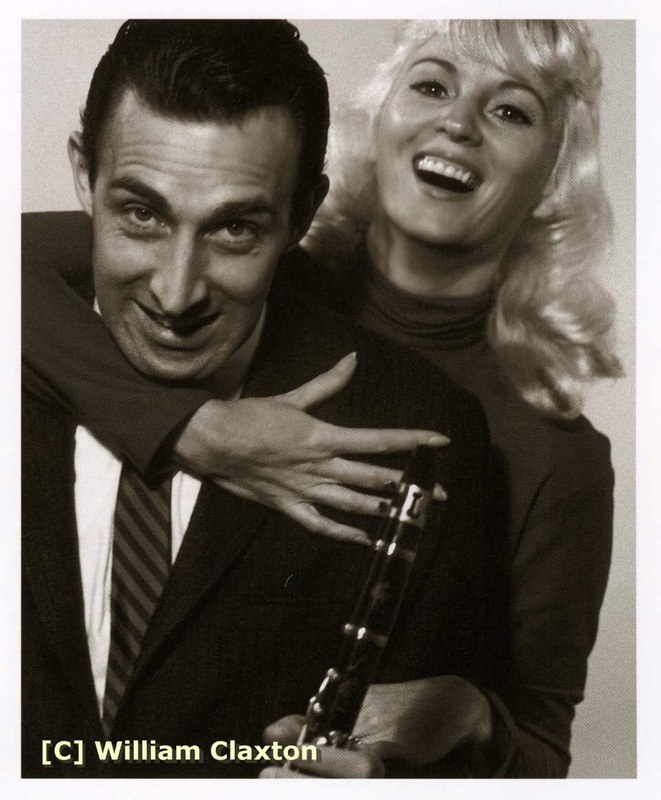 When he recovered, he married Casey Majors, a black woman he had met in Philadelphia, and he rejoined Woody Herman, who had a wild new, young band. Tough, showing verve and brilliance, became the foundation of the First Herman Herd, which lasted until 1946 and was one of the hardest-swinging of all big jazz bands. He suddenly began winning music-magazine polls, and became a star. Tough's style had evolved steadily. By the time he rejoined Tommy Dorsey, it had pretty well set, although there were still traces in it of New Orleans drumming-press rolls, ricky-tick on the drum rims. His cymbal playing as well as his bass-drum work grew increasingly dominant. Bob Wilber has said, "His cymbal playing was completely legato - that is, each cymbal ring melted into the next one. He fashioned a kind of cymbal shimmer behind whatever band he played with. It was a lateral flow. He kept his bass-drum heads very loose, so that he got a dull thud instead of a boom-boom-boom. And he used a great many bass-drum off beats, in the manner of the early bebop drummers. He also developed a habit on slow tempos of implying double time, thus giving the tempo a lift and a double edge. It's a device every modern drummer uses." 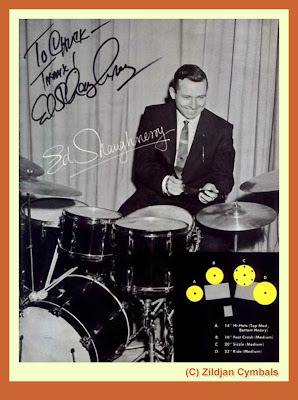 The drummer Ed Shaughnessy, long in the "Tonight Show" band, hung around Tough when he was fifteen or sixteen and Tough was with Woody Herman. He once said of him, "No drummer could match his intensity. He used a heavy stick with a round tip, He had the widest tempo, the broadest time sense, and in that way he was like Elvin Jones. He was always at the center of the beat, even though he gave the impression he was laid back. He played loosely, with not much tension on the stick, and he tuned his drums loosely. He kept a glass of water and a cloth on the bandstand, and before each set he would dampen the cloth and wipe the foot-pedal head of his bass drum with a circular motion. That drumhead was so loose it almost had wrinkles in it. He told me he did this because he didn't want the bass drum to be in the same range as the bass fiddle. He didn't want the two to compete. And he tuned his snare and tom toms the same way, so that they were almost flabby. He was a master cymbal player-maybe the greatest of all time. He had a couple of fifteen-inchers on his bass drum, plus a Chinese cymbal and what we call a fast cymbal - a small cymbal you use for short, quick strokes. And he had thirteen-inch high-hat cymbals. He'd use his high hat, either half open or open-and-shut behind ensembles, and when things roared he would shift to the big, furry sound of the Chinese cymbal. He had a very loose high-hat technique, and he was always dropping in off beats on it with his left hand. 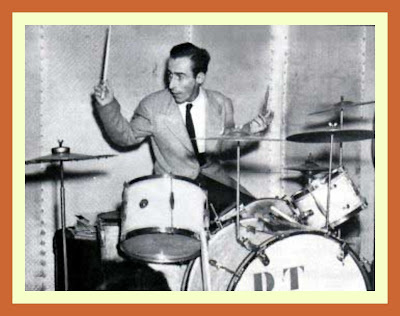 He often used cymbals for punctuation where other drummers used rim shots or tom tom beats. He told me he didn't want to interrupt the rhythmic wave. When he played, he looked sort of like a bird, his arms moving in birdlike arcs. But they moved as if he were playing under the water - not very heavy water. 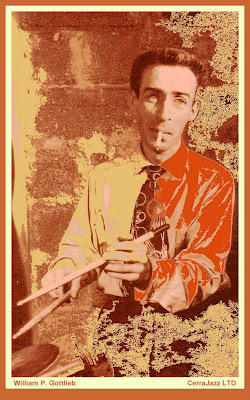 He was a surprisingly strong brush player, and he could easily carry a big-band number with brushes. He hated soloing. I remember in 1946, when he'd won the down beat poll and he was with Joe Marsala at Loew's State Theatre, and Marsala announced, 'We will now have a drum solo from Dave Tough, winner of the down beat Poll,' Davy looked like he was having his wisdom teeth pulled. He was always putting himself down, by saying things like 'I can't even roll on the goddam snare,' or, talking about bebop drumming, 'I can't change gears now and play the way you guys do.' He always liked everything that was new, though. 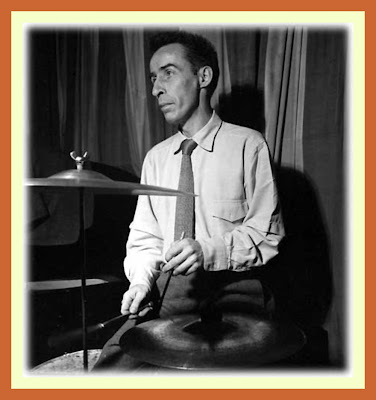 He listened to all the young drummers, and he thought Max Roach was terrific." The bassist Chubby Jackson worked beside Tough in the Herman band, and he spoke of him: "He was a champion of my life. We'd sit together on the bus between gigs and endlessly talk rhythm. In those days, there was great motivation between the drummer and the bass player, and the relationship could be like a happy marriage. He taught me to play non-metronomic time-that is, to play organized time. He said that human beings weren't metronomes, and drummers shouldn't be, either. Sometimes he would slow the beat down slightly so that the band would have a bigger sound, and sometimes he would speed up half a peg if things were getting sluggish. Or he'd hit five quarter notes in a row as a signal to the boys to pep up. He was the little general of that First Herman Herd. He did strange things to his cymbals. He'd remove all the sizzles except one or two from his Chinese cymbal, and he'd cut a wedge out of a ride cymbal to get a broader sound. He played differently behind each soloist. He'd say Bill Harris plays on the top of the beat, and Flip Phillips plays in the center of the beat-and he'd do specific things for each of them. But during the final ensembles he and I went our way, and some of those ensembles lifted off the roof. I don't think there has ever been a big band with more feeling and excitement. It was Woody's idea to hire Davy, and we all though,- he was nuts. We were in our twenties and here was this old guy who had been around forever. Because he was the oldest guy in the band, he lived in fear of being thought old. So he thought young, and he was always doing things in his drumming to make it sound modern. And he was always looking for approval. We'd finish a set, and he'd say, 'Hey, Snuggy' which is what he called me-'how was that? How'd you like that?' He never talked like a musician-no lingo or cutie-pie -Hey-man-what's-happenin' sort of thing. He talked more like a writer or lecturer." The sound of Tough's cymbals changed constantly in the background. The splashing opening high hat gave way to the shining ride cymbal (behind a clarinet), which gave way to a roaring Chinese cymbal (behind a trombone), which gave way to a tightfisted closed high hat, with clicking afterbeats struck on the high-hat post with one stick (behind a piano), which gave way to pouring half-open high-hat figures (behind a trumpet), and, finally, to the open high hat or Chinese cymbal (behind the closing ensemble). He used occasional, often indistinct accents on his snare drum and a steady panoply of jarring bass-drum accents. He created a ringing jubilance with his cymbals. They were also the canvas for the soloists to paint on. 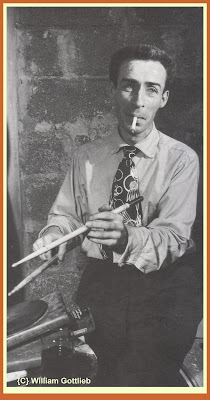 It was never clear whether his dislike of drum soloing-in a time when drum solos were the height of jazz fashion-was because he wasn't good at it (his solos, always short, generally consisted of rolling, with accents on the rims, and concluding cymbal splashes) or because he simply disapproved of the custom. Jimmy McPartland has said that Tough's beat was "relentless," and it was. There was no place for laggards or fakes in his musical world, and he would either change them or demolish them. 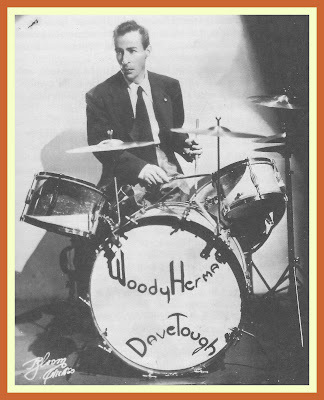 Tough's drinking, quite controlled with Herman, finally drove him out of the band in September of 1945. He went back to Joe Marsala, and in 1946 he helped Eddie Condon open his new night club in Greenwich Village. (This was when William Gottlieb took his famous gamin-like photograph of Tough in Condon's cellar-his eyes sad and bleared, a cigarette in his mouth, his sticks poised over a rubber practice pad.) He worked on Fifty Second Street with Charlie Ventura and Bill Harris, the former Woody Herman trombonist. In 1947, he went to Chicago with his old friend Muggsy Spanier. He was deteriorating physically, and he was worried by bebop, whose rhythmic intricacies he was certain (wrongly) he could never absorb. He was losing his saturnine good looks. He had a long, wandering, bony face, a high, domed forehead, and black hair with a widow's peak-it was a face, perched on his tiny shoulders, of a bigger man. He spent most of his last four months of his life in the Veterans Administration Hospital in Lyons, New Jersey. Late in the afternoon of December 8, 1948, when he was apparently on his way to the apartment he and his wife had in Newark, he slipped on the street, hit his head on a curb, and fractured his skull. It was dark and he was drunk. He died in a hospital the next morning. He had no identification, and his wife did not find him for three days. 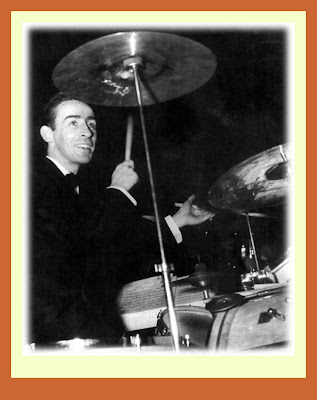 Tributes and Reflections about Davy from Burt Korall’s Drummin’ Men:The Heartbeat of Jazz – The Swing Years. “Woody [Herman] has no encouraging words about the status or future of the clarinet in jazz. He says there are no new players who have impressed him. “Admired for his mastery of the clarinet in his early career as a swing band musician, DeFranco came to full prominence in the late 1940s and early '50s. Although the clarinet had been a stellar swing-era instrument in the hands of bandleaders such as Benny Goodman, Artie Shaw and Woody Herman, it did not initially find a visible role when bebop arrived in the '40s. "I was the first clarinetist to play bebop on the instrument," DeFranco told the Columbus (Ohio) Dispatch in 1993. "It turns out that was the beginning of a dry spell for the clarinet in jazz. It was a very difficult instrument on which to play bop." 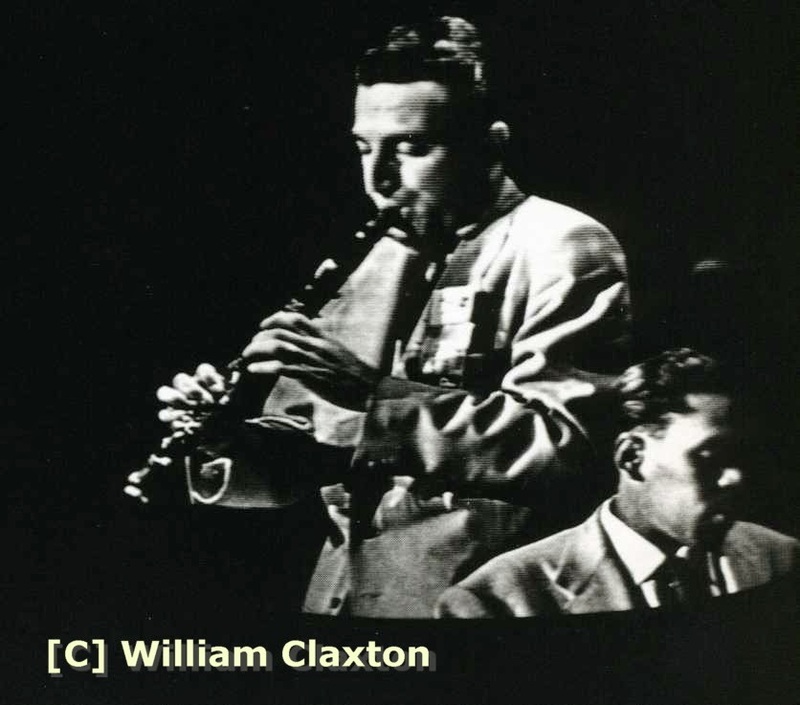 The New Grove Dictionary of Jazz described the task in even broader strokes, noting that the clarinet is "incompatible with bebop." - Richard Cook and Brian Morton, The Penguin Guide to Jazz, 6th Ed. 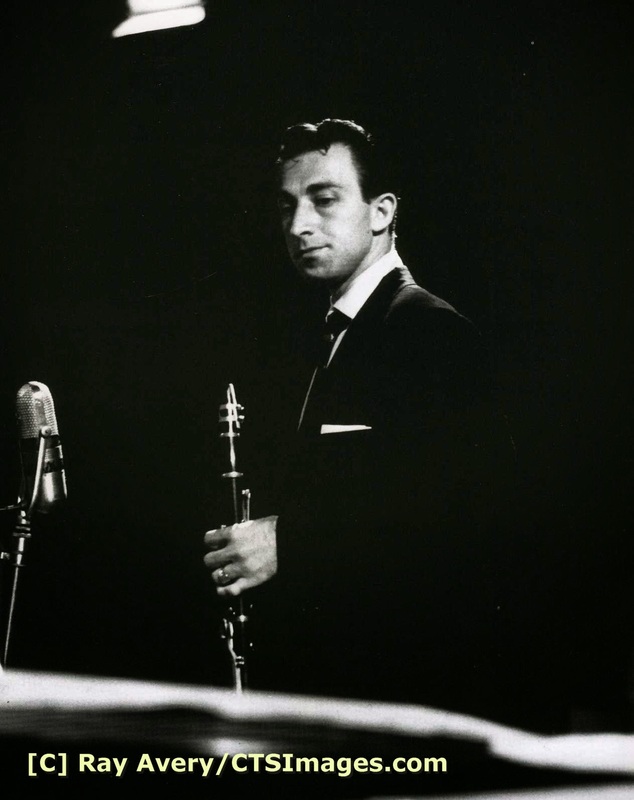 Buddy DeFranco passed away on Christmas Eve [December 24, 2014] in Panama City, Florida. He was 91 years old. Steve Voce, one of the premier writers on the subject of Jazz and its makers conducted the following interview with Buddy DeFranco in Nice in July 1981. It subsequently appeared in JazzJournal in 1982. You can locate more information about JazzJournal by going here. The editorial staff at JazzProfiles wanted to remember Buddy DeFranco on these pages by reprinting the text of Steve’s visit with him. Steve Voce has very kindly granted our request to do so. Among its many sterling qualities, Steve’s interview contains Buddy’s detailed explanation of why it is so difficult to play bebop on the clarinet; a subject that I’ve long wondered about. © - Steven Voce/JazzJournal; used with the author’s permission; copyright protected; all rights reserved. Buddy De Franco has the melancholy distinction of sharing the title of most overlooked jazz great with such as Lucky Thompson and Oscar Pettiford. Persistently neglected by jazz writers, it is fortunate indeed that jazz listeners turn the same kind of deaf ear to the critics that the critics have pointed at De Franco. February 17, 1923. His father was a piano tuner. "No one taught me to play jazz clarinet, but I was taught `legitimate' (I hate that term, but we're stuck with it). I began studying with a teacher in Philadelphia when I was about nine. I went to a music school that had a free programme for poor kids. We were very poor in those days, and my teacher taught me for three years and never took any money. Then, when I began to make some money, three dollars, whatever, he charged me a dollar a lesson. When I was 14, I heard my dad playing records by the Hot Club Of France Quintet and by Art Tatum, and I was completely overwhelmed by the music, and from that time jazz became the most important thing to me. Then I began to listen to Jimmy Lunceford, Chick Webb, Benny Goodman and Artie Shaw. The first jazz clarinettist I ever worked with was Johnny Mince in theDorsey band, and he really caught my ear. 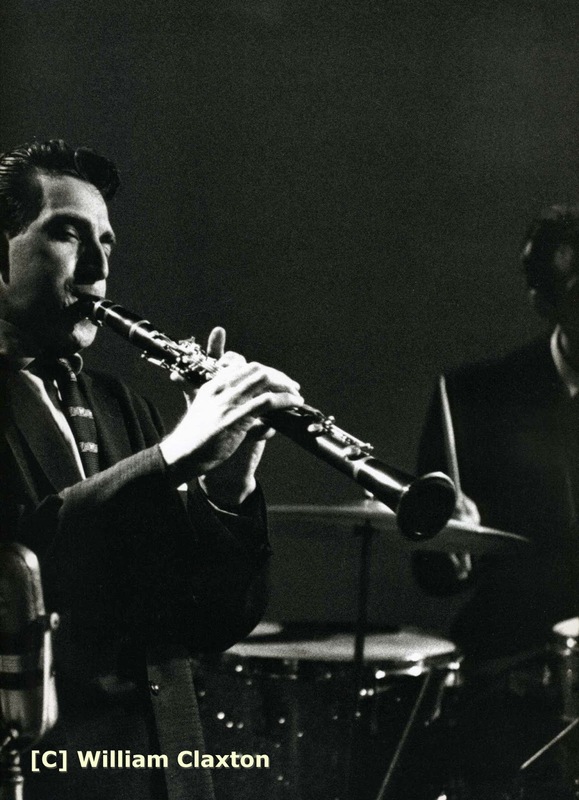 I was enthralled with Benny, and he really made me take the decision to be a jazz player. Then I heard Artie Shaw and over a period of years began to develop more of an appreciation for Artie. I thought he was more modern, more harmonically developed than Benny, although Benny had more swing. hated) `and you're gonna play Honeysuckle Rose, and at the end you'll hold up the clarinet with one hand and you'll hold out the other hand so that the people will see you're playing the clarinet with only one hand, and hang on one note, see. That'll get 'em. Nobody'll follow that.' And I did. That's how I won. I heard a disc of that performance and it was lousy, really horrible. But I won by default. This little kid, wearing shorts and playing clarinet with one hand, the other kids never had a chance. He was a frightening guy to work for, very strict and allowing no room at all for error. If you displeased him too many times you just got fired. He wanted set solos on certain songs that were hit records. For instance, Opus One was the first solo I recorded with the band in California and he said `You'll keep that solo.' Well, I didn't like it, so I changed it a couple of times. He came to me and, preceding it with a favourite phrase of his which I won't repeat, he said `'I told you not to change that solo.' I said `But it's not creative to play the same solo every night.' He snarled `Well, you want to be Count Basie or Art Tatum or someone, go and be creative in someone else's time. You're finished!' I was, he fired me. But I went back later, joined again. He had fines for everything. If you weren't there half an hour before the show it was a 10 dollar fine. If you missed the show it was a 25 dollar tine. At one time he didn't like too much giggling on the stand or smiling, so he had a no laughing or smiling on the stage law for about two months. If you smiled on the stage you got fined five dollars. Boomie Richmond and I would get giddy - it's hard to hide laughing, and the rule made you want to do it, but we didn't get caught. was a time when we were in Louisville and the train that the band was supposed to be catching left at 8 am. We had left a wake-up call and set an alarm for 6.30. I heard the alarm and shut it off and went back to sleep. We either got the wake-up call and I didn't hear it or we didn't get one, I'm not sure. We woke up about 10 or 11 and missed the train from Louisville to St Louis, a trip of about 800 miles. So we had to try to find a way to get to St Louis in time for the job, where we had two concerts to do. We called the Greyhound and all the different bus companies, we called all the train stations, but we couldn't get anything. We couldn't even get there by commercial airlines, and they weren't great in the forties anyhow. The only thing we could do was to call the Civil Air Patrol. They got us a pilot, so we decided to rent this plane, which was about 350 dollars in those days. We had about a hundred dollars between us, so we talked the pilot into taking that on the basis of getting the other 250 when we got to St Louis. We loaded the bags into the little plane, and he started at about one in the afternoon. We felt we could make it on time, so off we went, flying all afternoon. As it got to be evening he turned to us in the cab and said `I don't know how to tell you guys this, but we're lost.' We couldn't understand that, because you just had to follow the Mississippi River right up, and there's St Louis, but he managed it. Then he said `And I hate to tell you this, but we're running out of fuel', adding `I'm gonna dip down and lower the altitude and see if you can see a sign of something, anything we might recognise, a landmark or something.' Dodo said `Why don't you stop and I'll ask a cop?'. We finally wound up in Springfield, Illinois, which is 110 miles from St Louis, at seven in the evening. When we discovered where we were, the pilot got tough and wouldn't let us have our bags until he got his 250 dollars, and they had two security guards at the airport who backed him up. We had to go into this small airport at Springfield and call the band manager, Louis Zito, in St Louis. This was at about 8.30 or 9.00 pm. They already did their first concert without us and were getting ready for the second. We finally got hold of Louis and we wanted to talk him into wiring us money. I said `Louis, we gotta have 300 dollars to bail ourselves out.' Louis said, and I remember his words exactly, `Get on the train going the other way, because if you come in this direction, it's death. Tommy's furious. He's so angry that he left the stage and went to his dressing room and nobody can talk to him, and Ziggy is leading the band. So don't come.' We pleaded and pleaded and finally talked him into wiring the money. We had to wait there an hour and a half or so, to get the wire, change it into cash and pay this guy his 250 dollars to get our bags and find a train to St Louis. We got into St Louis at about one o'clock in the morning. They had some sort of transportation strike, so there was nothing available to get us to the hotel where the band was staying, so we hitched a ride with a truck driver. He took us to the hotel, and when we got there there were no rooms. There was a train the band had to catch at nine o'clock the next morning. We hadn't seen anyone in the band, so the hotel guy let us sleep in the mezzanine on a couch. We took turns sleeping because we were frightened of missing the train again. We'd wake each other up and take turns to go to the restroom and splash cold water on our faces to stay awake another hour. Finally we headed to the station at eight o'clock and we saw Louis Zito. We never expected that in a million years, but that was Dorsey, you never knew from one hour to the next what his attitude was going to be.Charlie Shavers was in the band. He was a great musician, but he was also a sleeper. So much so that people thought he was a junkie, but he wasn't. He had a legitimate sleeping sickness, and once in a while Tommy would have to squirt him with a water pistol on stage to wake him. He could go to sleep sitting next to Louis Bellson's drum solo. In fact Louis used to hit him with a stick to wake him up occasionally. Eight bars before he was due to solo Louis would give him a whack. I heard that Tommy wired his chair to the mains once. Another time they were in a recording studio when Charlie fell asleep and started snoring. Tommy had all the mikes turned on and the recording machines started. Then he asked Charlie some terrible, rotten, ridiculous raunchy questions, and Charlie answered with a snore. It was one of the funniest tapes I ever heard. I'd love a copy of that. Once in a theatre, when Tommy squirted Charlie with the water pistol to wake him up, Charlie came back with his own water pistol and squirted Tommy. Then Tommy got giddy, once in a while he'd get giddy instead of angry, and started squirting the whole band. This was on stage, don't forget. So then the whole band went out and bought water pistols and we had a water fight on stage, which is absurd when you think about it. The audience had no idea what was going on or why. Then it got to be a contest in a way. Tommy went out to look for the best water pistol, and finally came back with a huge thing that looked like a tommy gun. In those days you had to give eight weeks' notice if you wanted to leave. I gave him notice in California because I had promises of lots of jobs. Andre Previn had movie work and he wanted me to teach Keenan Wynn to play the clarinet for a film, and I ran into a contractor out there who had lots of work for me if I left. I felt I could make a good living out there. Imagine my chagrin when the weeks went by and I didn't get any work. Andre didn't know why, but the film work fell through and with the contractor it was `Buddy who ...?'. I think I worked one Sunday afternoon job with Corky Corcoran in a nine-month period. Then Tommy called. And his favourite line was a variation on `You got enough wrinkles in your belly? You want to come back?' I did come back and I later learned from Ziggy Elman that Tommy had engineered the whole thing. He blackballed me in California so I'd have to rejoin him. I was with Tommy three times in a period of five or six years, and between one of those times I worked with Boyd Raeburn's band. It was a marvellous band with great players in it. In fact I met Pete Candoli the other day and we were reminiscing about our time with the band. My first records under my own name weren't released at the time. I had a band for Capitol with Lee Konitz and Bernie Glow in the line-up. We did George Russell's A Bird in Igor's Yard, but Capitol refused to release it. I got a letter from one of their top executives saying get in the studio immediately with a small group like George Shearing's and let's make money. Well, four or five years ago they did release that record and it just happens to be a milestone in the jazz picture. I've often thought I'd like to record that piece again, too. We also recorded my arrangement of This Time The Dream's On Me, which was by accident. It was part of what I regarded as the band's dance library, and not suitable for recording. But we needed the number. Gerry Mulligan was scheduled to write one chart for the session. He wasn't feeling too well and he came to the date and handed me the score, it was too late. So I dug out The Dream's On Me. The first big band I had travelling on the road recorded for MGM. That was before the quartets and Buddy's Blues and those things. We had Charlie Walp, Bernie Glow, Gene Quill and Buddy Arnold. I don't remember being intimidated musically by many musicians but certainly Art Tatum, Charlie Parker and Oscar Peterson where three. In fact Oscar sat in with Terry Gibbs and me at Fat Tuesday's in New York recently, and Terry mentioned the fast tempos that Oscar and I had used in earlier years, and of course Terry's no slouch! But in those days we played with Ray Brown, Louis Bellson or Buddy Rich with Oscar, and if you were going to jump in there, you'd better have some technique or you'd be totally lost in the shuffle. So I'd make darned sure I was on my toes. It was the same in that session for Norman Granz with Art Tatum. It was frightening in a way. I felt that I didn't do as good a job as I wanted to, because there were so many pressures during the session. We were both very ill, for instance. Art wasn't feeling at all well, and it wasn't long after that he died. I had a terrible virus, Which is why I am seen sitting down on the cover picture, because I couldn't stand up to play. I did it because I figured it would be my only chance to play with Art, and now I'm very glad I did. We enjoyed it anyway. That's the funny thing about music, it helps you feel better. I know that many times when I'm not well and I begin playing I forget that I'm ill. I played many sessions in New York with Charlie Parker, and again up in Connecticut and along the East Coast. One summer I had an engagement on 52nd Street at the Spotlight or the Three Deuces, I forget which. We always worked those two clubs and Charlie was at the other club. He liked my rhythm section. At that time I had Bud Powell, Tommy Potter or Curly Russell and Max Roach. So he brought his alto in and played with my group. He was the most fascinating player of all time. I don't think there's anyone playing modern jazz that hasn't been influenced by him. We're all offshoots of Bird and 75 per cent of the young players today aren't aware of it. Playing bebop on the clarinet seemed to come easily to me. Playing with Bird as many times as I did and also gravitating towards pianists - I always listened to what pianists were doing harmonically - let me know what to do. The only deliberate changes I made were with the mouthpiece and reed. The clarinet is of course much harder to play than the saxophone. The instrument is built to overblow in twelfths, whereas a sax is an octave instrument. If you push the octave key on the sax you get one octave higher, so therefore the fingerings are identical for both registers. With the clarinet you have three separate fingerings, three separate registers and three separate timbres. The overtones are totally different as a result of that, plus the fact that you have a smaller mouthpiece and smaller reed, so you have to make a considerable adjustment to get the strength and force that you need. The clarinet is not as flexible as an alto, so you must make it flexible in order to play jazz. Then you have the problem of covering the holes on the clarinet. You must cover those holes with your fingers, and a fraction of an inch off will mean that the note won't come out or that it'll squeak. On the sax the pads do the covering. You can hit your finger on any part of the pad top and it'll cover the note for you. So the clarinet is absolutely more difficult, like playing jazz on a bassoon or something. hot group. The funny thing is it was billed as the Buddy de Franco Quartet, but during the last few years people have come up to me and said they remember me when I was with Art Blakey's group. I was never in Art's group. Years later in the sixties I played bass clarinet on just one recording session in California and since Art was in town we called him in. It was one of the few times I ever got five stars for an album. It was Leonard Feather's idea for me to play bass clarinet. He suggested that it might draw more attention to me as a creative jazz player. I don't have to tell you that the criticism for years has been that I was not creative or that I was cold or that I played too many notes. Even the brochure from the last North Sea Festival said `Buddy de Franco has faded into obscurity for many years.' That's typical of critics. Somehow I was never the critics' choice, except for Leonard. The record made some musicians and critics listen, but commercially it died, it was terrible. I used the bass clarinet in clubs. I'd carry this confounded instrument from place to place and worry about the reeds and things. I'd get up and have people staring at me - like it was the Nuremburg trials or something. So I finally gave it up in despair, although I'm proud of that album. Art had a big influence on me when I toured with him and the quartet, as indeed did Basie a few years later. I had been working around New York at the end of the forties and I was being booked by Willard Alexander. He discovered Basie and was largely responsible for Basie's big band through the years. I'd known him for many years, and when he was putting together a small group for Basie in 1950 he thought of me. Willard had the idea to put us together for two reasons. Firstly he knew we would be compatible, and secondly Count and I were friends, and he happened to like my playing. Willard thought it would be a good springboard for me, because my career was just floundering at the time. I was well known but not doing a lot, because with all the adverse criticism of my playing some promoters would read it and decide, well who needs him? Anyway it was a fine octet with Clark Terry, Charlie Rouse who was later replaced by Wardell Gray, Serge Chaloff and Count's rhythm section. I learned a hell of a lot about dynamics from Basie. He can assemble any group of competent musicians, and within one hour they will sound like the Count Basie Band. It's all from him and Freddie Green. Until I worked for him I hadn't realised how dynamic he is. He doesn't say very much, doesn't play much, but it's all at the heart of everything. Amazing. Willard was the guy who got me the job of leading the Glenn Miller Orchestra. There again it was a wise move. He also told me another time not to get a big band because he could book me with a small group. That's one time I didn't listen to him when I really should have. although we both made several appearances. My first was when I substituted for Benny Goodman. Goodman had won and I was second. He couldn't make it so I came in. Tommy Dorsey, Bill Harris, Johnny Hodges, Duke, Billy Strayhorn, Harry Carney, Cootie and Rex, Sonny Berman, Pete Candoli, Flip, Chubby, Billy Bauer, Red Norvo - that was a heavy band. Duke was supposed to write an arrangement, but instead he composed Metronome All Out on the spot. He just told the saxes and brass what to play and the rhythm what the chord changes were and it made a really great arrangement. For Look Out, which was the other title, Tommy [Dorsey] had got a llttle sketch from Sy Oliver, and when it came to the place where it said `jazz trombone' he insisted on Bill taking it. `With a player like Bill Harris around I'm not going to embarrass myself,' he said. That was something for Tommy, because he was not considered the most humble person. But he was still the finest trombone player that I can remember hearing, technically speaking. He had a way with a melody, a marvellous approach to playing melody. The second time, I worked with Bill Harris, Nat Cole, Dizzy and the Stan Kenton band a year later in 1947. We did those in California. Pete Rugolo wrote Metronome Riff and Flip Phillips did Leap Here (the record sleeve gives Nat Cole as composer of Leap Here - SV). Billie Holiday came to Europe in 1954 and I came with her. She was fighting her problems and had a considerate husband who was trying his best to keep her in line. He did a good job, but every once in a while Billie's friends would find her and she'd go off. She got a very bad review on our opening night in Stockholm, and then the following night she'd straightened up and was marvellous. It was very hard for her. She was tantamount to Bird, having a terrible emotional struggle with dope and other problems. Once again I was glad I made that tour, because it was once in a lifetime. I can say that I worked with Billie Holiday who to me was one of the most creative of all singers and she, like Bird, came through remarkably well in spite of all her problems. For instance, Bird played great in spite of the fact that he was hung up, and unfortunately he never really played at his best on a record. I've heard him unbelievably dazzling, but of course circumstances on record dates were against him. Either he didn't have his own horn because he'd sold it, or some unscrupulous record exec would give him a fix to do a session and he'd be half stoned. Talking of recordings, I'm always very proud of `The Cross Country Suite' that Nelson Riddle wrote for me. It was never issued in England. Nelson and I had been in Tommy Dorsey's band together, where Nelson was a trombonist. But eventually he began writing virtually full time for the band. He followed Bill Finegan, whom he idolised. Bill and Eddie Sauter were the daddies of modern band orchestration. Nelson and I roomed together and became great friends. He had a great deal to contribute and of course still does. He's one of the most prolific writers. I've always loved the way he could write behind vocalists and instrumentalists. He always knew exactly what to do.I had begun doing these music clinics for LeBlanc in the fifties - now I do them for Yamaha - and I wanted some music to play there. I felt it should be a combination of big band, of jazz and orchestral, so I got hold of Nelson in California in 1958 and asked him to write for me. He was working for Nat Cole at the time and was really very busy, but he accepted the assignment, and I'm glad he did, because `The Cross Country Suite' turned out to be one of the best things he ever wrote and it won him a Grammy award. There were 11 compositions in it, and each was composed for a certain area in the United States. It was my plan to play the appropriate composition wherever I happened to be doing a clinic. It turned out so well that it was one of the most rewarding albums for me, too, and I hope sometime we'll be able to play it again. It didn't sell well, unfortunately, but that's a typical story, as you know.It was premiered with a Nat Cole show that he did at the Hollywood Bowl. Nelson had written all the charts for the show and Nat had us in for the suite and it was a tremendous success with the audience. The reaction was so good that we were sure the reviews would be good too, but I should have known. They were so bad they were less than negative. One reviewer said it was Nelson Riddle's pathetic attempt at a Ferde Grofe composition played by a clarinettist. An obvious put-away. Another controversial thing was the albums I made with accordionists. I'm not so much fond of the accordion as of the player. The instrument is like a clarinet or a violin to me, perhaps not my favourite instruments, but dependent on the player. For example take the harmonica. You hear Toots Thielemans play it and you change your mind about harmonica. When I first heard Art Van Damme and Ernie Felice and guys like that, Joe Mooney and so on, I was impressed. Then I heard Tommy Gumina in California more or less by accident and I began working with him. It was just amazing how he played. He also developed his own accordion. He totally changed the left system of the instrument. 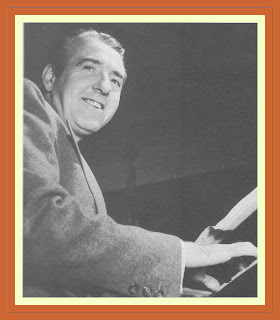 Tommy was one of the most proficient in terms of polytonal jazz and when I go through schools in the US we find that many band directors are using the recordings I did with Tommy as an example of modern polytonal harmonic development in jazz. I was very pleased with those albums and also the later one with the Canadian accordionist Gordy Fleming. There's always something new to develop with such a combination of instruments. My own playing is developing all the time. It's endless. It's the strangest thing about playing extemporaneous music that it seems like the more you accomplish the more you realise there's so much you haven't done. That's not false modesty, it's just a fact of life. The old adage is you get old too fast and smart too late, and it's very true! When you're young and you play pretty good you think it's great, and if somebody compliments you your ego's apt to get way out of bounds. That's as far as you go until you begin to realise there's a big world out there in terms of music and development. Then you also realise that if you do progress the way you should, then you leave something for the next guy. The following video features Buddy performing his original composition Ferdinando with Kenny Drew [p], Milt Hinton [b] and Art Blakey [d]. Philip Larkin - "All What Jazz"
Nueva Manteca - "Varadero Blues"